ice cream | An adventure with food. Prepare to be hit by a whirlwind of devilishly wonderful frozen cream-based goods now that we have our new toy! Well I say our new toy, it’s actually W’s but I have stolen it for the weekend *evil cackle*. *I used 1 but next time I would definitely go for 2! **so I’m being a bit loose with the definition of identical but really there was no point writing it out all again was there? So what’s next on the frozen cream-based loveliness list? I’m thinking Lemon & Ginger…any other suggestions? I’ve been playing with my new toy: an ice cream maker. Inspired by the Italian ice cream we ate in Sardinia, J suggested this flavour. 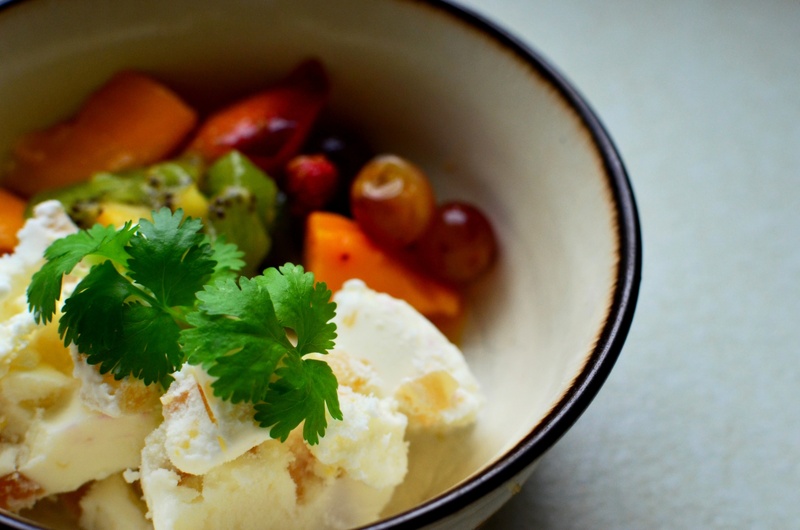 If you don’t have an ice cream maker, you can still make delicious ice cream. I recommend making it first thing in the morning as you will be able to stir it every hour or so, for at least 4 hours. 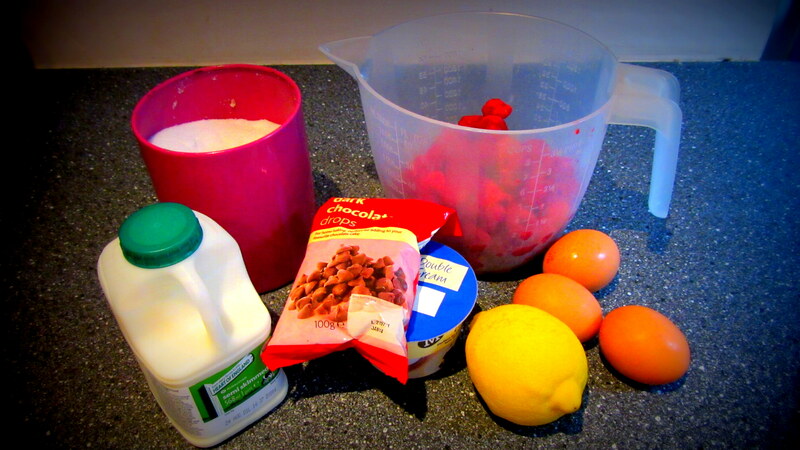 Puree the raspberries in a blender with around 20g of the sugar. Push the puree through a sieve to remove the seeds. Zest the lemon into the puree and set aside in the fridge to keep it cold. Gently whisk the egg yolks with the remainder of the sugar to make a creamy mixture. Gently warm the milk and cream in a pan, whilst stirring constantly with a wooden spoon. When warmed through, pour the egg mixture into the warmed cream and milk. Keep on a low heat and stirring for around a minute until it begins to thicken. Add to the raspberry puree and mix together gently with a whisk. By this point the mixture will be quite warm, so it’s a good idea to chill it in the fridge for 30 minutes or so if you have time, before adding to the ice cream maker/the freezer. Ice cream maker? Add to the ice cream maker and follow the instructions on the machine. I put mine on for 30 minutes and it was perfect. Add the chocolate chips and mix in evenly. Pour into a 1l tub and freeze for a couple of hours before serving. No ice cream maker? 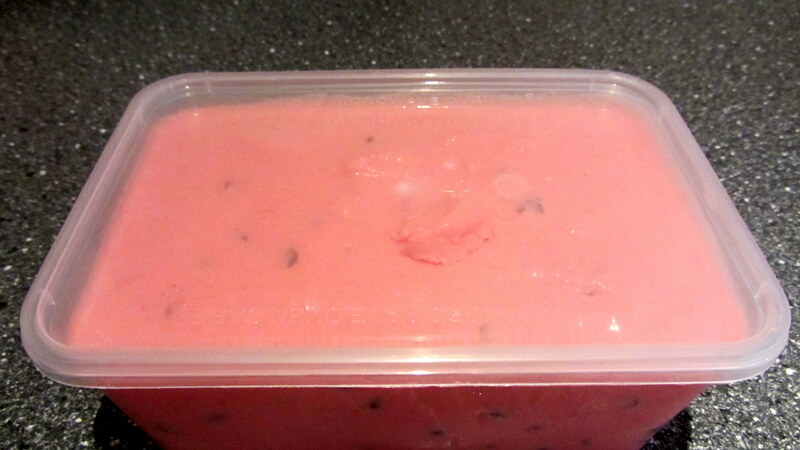 Pour the chilled raspberry cream into a 1l tub and pop in the freezer. After 30 minutes, take it out, mash up the icy bits around the edge and stir thoroughly. Repeat again, every 30 mins for 2 hours. When the ice cream begins to thicken, add the chocolate chips and mix thoroughly. The idea of adding them at this stage, is that the ice cream is thick enough to hold the chocolate chips evenly throughout the mixture, and not just sink to the bottom if the ice cream is too thin. Keep mixing every hour or so until the ice cream is firm. This usually takes about 4-6 hours, but really depends on the size of the tub, the freezer & the mixture itself so use your judgement! Serve when firm, with a slice of warm, gooey brownie and some fresh raspberries. If you’re keeping it for another day, remember to take it out of the freezer 15 minutes before serving to soften up a bit. Enjoy!